Welcome to the November and December 2013 edition of the GMT P500 update list. 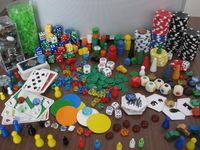 The purpose of this list is to showcase all the new games coming through the GMT P500 system. An amazing 215 (+3) of you now own this lovely microbadge, and I thank you. Thanks to everyone for their continued kinds words of support. If you do have any comments or suggestions, please do send me a geekmail message or post in the comments section. Ahhh, mid-November! The GMT fall sale is over, and GMT says it was one of their best yet. BottosCon, my local wargame convention that I finally attended was a week ago, and BGG.Con is next week. It's the perfect time to get out the GMT P500 list. As mentioned last month, I'm cutting the list back to 10 a year, and so this issue is the last one for 2013. I wish all you a Merry Christmas and Happy New Year in advance. Lots of news this month, including a new game in the Next War series, a merger of two games into one, and several titles coming off as they are now charging/shipping. And for the heck of it, polls! Did you buy any games from GMT during the 2013 fall sale? How many games were you eligible to buy at 50% off? How many games DID you buy at 50% off? How many did you buy at 20% off? How many of the games you bought were gifts for others? I want to thank you for your participation in our just-ended Fall Sale. It was our second largest response ever, both in terms of total orders and also total revenue. You guys have definitely helped us build some extra reserves for reprinting more games in late 2013 and into 2014. I hope many of you were able to use the great value opportunity of our sale to grab at least a game or two that you've been wanting, and that those games will bring you many hours of enjoyment! Current Printing Schedule, from the November 13th update. Charging: We will be charging for C&C Napoleonics: The Austrian Army starting today, Wednesday, Nov. 13. We'd held off the previously announced charge, but now need to make this one quickly so we don't have any hold-ups on the Friday shipments. On Thursday, Nov. 14, we'll charge for The Hunters. We'll have another update for you guys within a couple weeks to update you on the remainder of this year's charges and P500 shipments. In short, stay tuned. I'll update this when GMT releases their information. The next issue of C3i has been announced! Given the amount of inserts, including a complete game, I'm surprised it's still this cheap. With the announcement of two new No Retreat titles this month, it seems only fitting to feature the game that has launched Carl Paradis series to the forefront of interesting and accessible games on WWII. Originally published by the little game company that could, Victory Point Games, No Retreat was their best selling title for a time and the GMT edition took the original and the first two expansions into one box. Around the same time the GMT edition was going to print, the third expansion to let you play the game solitaire came out. VPG included a link to download the parts from VPG for print and play, and C3i later came out with that expansion as an insert as well. This is a game I've reviewed previously (cf. [Roger's Reviews] No Retreat: The Deluxe Treatment) and since then there have been a few changes to the game. Notably, there's a new set of rules and a new playbook (both version 2.0). Those will be in the new box. However, those updates haven't changed my opinion that it's a great game. No Retreat is my favourite eastern front WWII game after Columbia's EastFront. It's well worth picking up. The ink was hardly dry on the documents following the partition of British India in 1947 before war broke out between India and Pakistan. Since the partition, four major wars and numerous smaller conflicts have been waged over much of the same ground. In 1947, 1965, 1971, and 1999 India and Pakistan fought in the mountains of Kashmir and on the plains of the Punjab region to the south. Today, both sides are armed with thousands of armored vehicles, hundreds of advanced aircraft, and dozens of nuclear weapons. With tensions high and both sides heavily armed, another conflict may be just a matter of time. Comments: The latest instalment of the Next War series is the one that captures my interest the most. I'll be watching to see how this one develops. 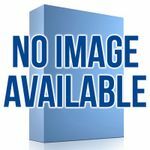 Title Chase Basketball is a fast-paced game nominally about professional basketball. The game focuses on team building, getting into the playoffs and winning it all. Title Chase Basketball should not be confused with a simulation. It is a game meant to pit players against each other and as such can be completed from the start of the season to game seven of the finals in about an hour. Comments: This game has been on the list for a while now, and its movement on the P500 has been, at best, lacklustre. The month it was announced it started with 78 orders. It broke 100 two months later. Those peaked at 151 last May. I don't know what the fix is because I would like to see this game printed some day, but at the rate it's going, that's not going to happen this decade. Comments: No Retreat 3 is another former VPG title that has been picked up by GMT, but the Polish front is a nice addition to this edition. This game will be using a mix of all the previous No Retreat! 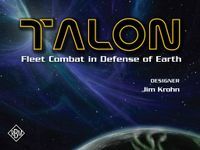 game concepts/systems, including some from the solitaire module, to depict this long and gruelling campaign with the minimum of fuss and the fastest possible play time. Each turn will represent one or two months (depending on the weather), but not every Turn will see major action! So during Frontline lulls very little combat, if any, will take place but for frontline attrition, so these turns will pass in a speedy manner. Comments: WWII has a broad array of topics contained within it, and although I have played and own many WWII games, I've played remarkably few if any on the Italian campaign save for some Combat Commander scenarios. In short, this one will be added to my shelves. It looks really interesting and well done. Rising Glory is the fourth game we are producing as part of our strategic friendship/partnership with Victory Point Games, and the 2nd from their Napoleonic 20 series (Fading Glory was our first). The idea for this and future volumes is that we will take multiple existing games from the VPG Napeoleonic 20 series, add an as-yet-unpublished game to the mix, and create a GMT boxed game with 3-4 games in the box, using larger (3/4") counters and mounted maps. Comments: One of last month's rising stars barely escapes the top three by virtue of the merger of the two 1914 games. I suspect it'll be back in contention next month. Fury, GMT’s new game of fantasy warfare, brings the Manoeuvre game system to the lands of the West. Knights and Orcs fight against Dragons and Dwarves to decide the outcome of the 2nd War of the West. Fury takes the bones of Manoeuvre and builds a game that has more of everything you like in the original. More and varied types of movement such as flight and teleportation, more combats in a turn each with their own deadly styles, and devastating spells that can turn the tides of war in your favor. Your ability to control the Fury of the battlefield will determine your fate. Comments: I don't know how well this would work as an idea, but there are a lot of games where you get a package with two factions and the others are available as expansions later. Wings of Glory has starter packs, Columbia's Wizard Kings used that format too. Heck, even Combat Commander began life with three faction decks and grew bigger with Med and the battle packs later. So perhaps Fury could do something similar. Base game with two factions and the map tiles, and then the others as add ons later. Would make the total cost over time higher, but might make a smaller print run of the base game more reasonable with a smaller number of pre-orders. Clash of Giants: Civil War, takes the game system from Ted S. Raicer’s popular and critically acclaimed Clash of Giants WWI series to two of the storied battles of the American Civil War: Second Bull Run and Gettysburg. CoG: Civil War uses a modified version of the chit-pull Activation system of Clash of Giants II: Campaigns of Galicia and First Ypres, 1914, while retaining the CoG combat system. Comments: One of the newcomers to the list. Twin Peaks is the seventh installment in the Great Battles of the American Civil War (GBACW) series, published by GMT Games. Two full battles are included - Cedar Mountain and South Mountain. Comments: I'm often surprised by the appetite for ACW games. I shouldn't be. The Eagle of Lille expansion to Bloody April (Air War over Arras France 1917) expands the air war to follow the career of Immelmann and some of the other early aces such as Oswald Boelcke and Lanoe Hawker. Seven new scenarios cover the period from August 1915 to early 1917 while including tables which randomize taskings and add replayability to the scenarios. Comments: Another solid month for this expansion. 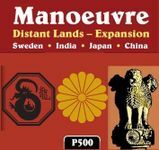 Wellington in India (WIN) is GMT’s first game in its Great Battles in Asian History, a series emphasizing easy, quick play that focuses on the unusual features of this area of history virtually untouched by the hobby but truly rich in game player goodies. Comments: A solid month of growth for this title. If this is going to be a series, I suspect getting the first game out might be easier if people had an idea of which ones would follow. It is Spring 1940, and both the British and the Germans have plans to invade neutral Norway. The British still have the French on their side, while the German Kriegsmarine will never be larger. Who will strike first? 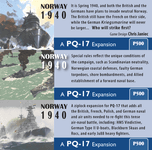 Norway 1940 is a ziplock expansion for PQ-17. Comments: I almost picked this up from the swap table at BottosCon this year. Then I remembered my wife's admonition not to come home with too many new games from the Con. Comments: It won't be very long before this one makes the cut and then onto game tables I suspect, based on the big numbers it's been posting since it made the P500 list. 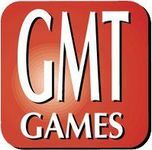 Note from GMT - November 13, 2013: Many of you have suggested that you'd like to see us offer the remakes of Ted's two award winning WWI games together in one package. We've decided to rework our package and pricing to make that happen, resulting in only a $10 increase in retail price for both games over each previous single-game package. We hope you enjoy this savings and will support Ted's games in this format. Enjoy the games! Comments: I think that this was a great decision by GMT to bundle them together. The new P500 price is only $7 more than the original and for that you get an entire extra game. Comments: If there were a pool to bet on which of the Next War conflicts was most likely to happen, this one feels like it would have the longest odds. But not by much. Comments: A nice boost thanks in part to the fall sale I suspect. Details: For 2 players (although you could have multiple games going at the same time. Comments: The fall sale helped this one's numbers, unlike Fury, but still a far cry from a pace to get it over the hump. I know C3i is not on a torrid publishing pace, but maybe it could be sold that way? I'd buy a ziploc bag with the decks and pieces to put into my Manoeuvre box. Heck, I'd buy them as five separate expansions, one per faction and one for the map tiles. What do you think Gene? Comments: I'm keeping my eye on this one, but there's another game similar to it that I'm eyeing even more. In Enemy Coast Ahead: The Dambuster Raid, you command a newly formed squadron assigned the task of breaching the dams in the Ruhr Valley. Not only are you presented with a variety of decisions, you play the invisible hand of fate as your crews endure the hazards of a dangerous night raid. Play the campaign and you get to organize and train the squadron, or play the historical scenarios. Comments: I'm going to play a lot of The Hunters when I get it and then come back and check on this one. Genesis is a campaign-level game covering the turbulent Late Bronze Age in the Middle East, where kingdoms rose and fell while establishing many of the systems and ways of life that underwrite Western Civilization. Much like its ancestor game, Pax Romana, Genesis is a game that provides the players with the historical dramatis personae and allows them to forge their own empires. It also has a great emphasis on the control of the important trade routes and commercial centers and the building of the spectacular monuments these civilizations left for posterity and wonder. Comments: I kindly ask that we keep the discussions of Mr. Berg for another forum and discuss the game instead. Comments: Like a lot of people, I have no interest in NASCAR, but this game has been getting rave reviews in many corners, so I'm glad to see it finally make the cut as production nears. At the turn of the 18th Century, Tsar Peter Veliky ("the Great") had a dream. This was for Imperial Russia to have a fleet vast and powerful enough to control its local waterways and to extend Russian trade to the world. Peter travelled widely throughout Europe, learning the trade of ship building from the western masters, and brought this knowledge home. Sadly, he would never see the result of his labors. But, by the time of his death in 1725, the seed of a powerful armada had been sown. Under a flag bearing the cross of Saint Andrew (a blue cross on a white background), the Imperial Russian Navy grew to become the masters of the Baltic, Black and eastern Mediterranean seas. Comments: I'm glad this series is doing so very well.